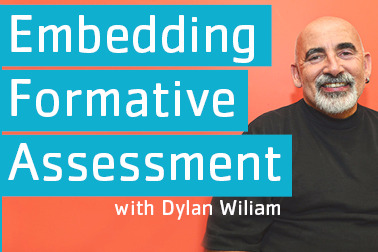 QELi is proud to present Emeritus Professor Dylan Wiliam, Educational Assessment, University College London. This interactive one-day masterclass will explore strategies and practical techniques for embedding formative assessment and will support educators to develop their use of minute-to-minute and day-by-day assessment. QELi is proud to present Emeritus Professor Dylan Wiliam, Educational Assessment, University College London. A former teacher, Emeritus Professor Wiliam has served in a number of roles in university administration, including Dean of a School of Education, and for the last 15 years, has pursued a research program focused on supporting teachers to develop their use of assessment in support of learning. He has co-authored a major review of research evidence on formative assessment and continues to work with groups of teachers all over the world on developing formative assessment practices. This interactive one-day masterclass will explore strategies and practical techniques for embedding formative assessment, or assessment for learning as it is often known, and will support educators to develop their use of minute-to-minute and day-by-day assessment.